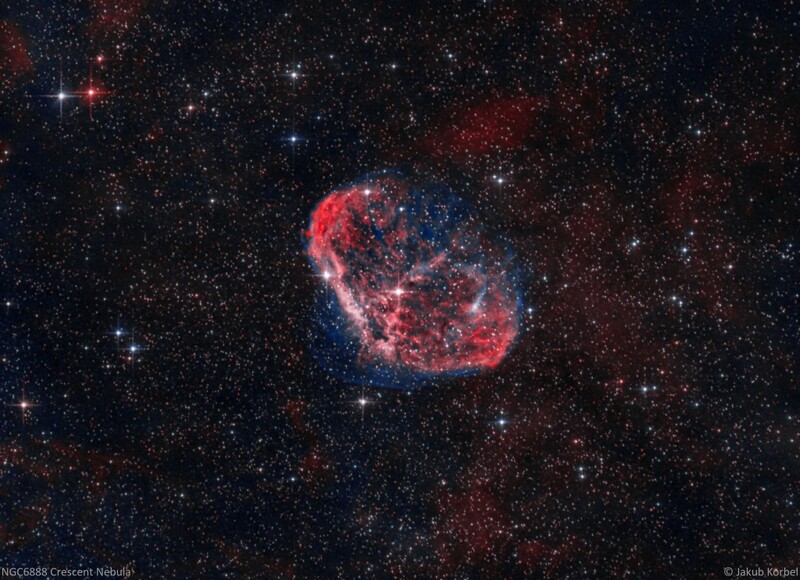 In an emission nebula located in constellation Cygnus (swan), 5000 light years from Earth. The nebula has 25 light years (!) in diameter. This constellation, as well as the nebula is lying on the plane of our home galaxy Milky Way. Therefore there are so many stars visible. 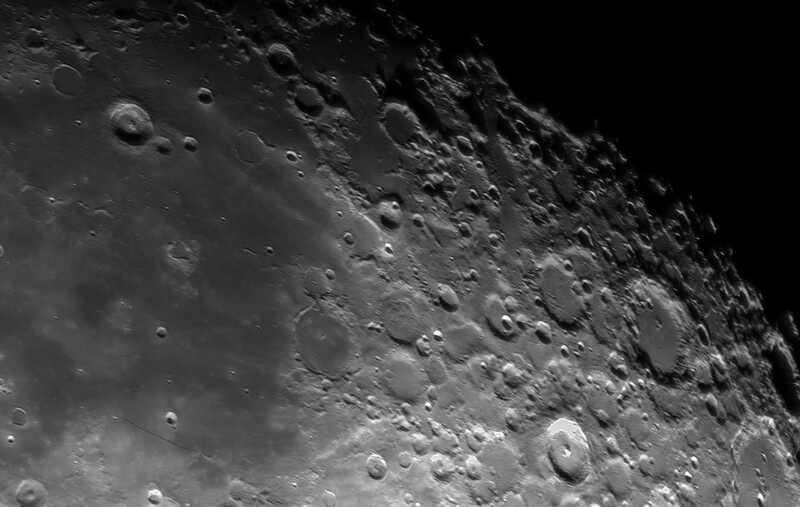 The picture was processed by bi-color technique – this means that the picture is assembled from two narrow band images: hydrogen alpha (Ha) and ionized oxygen (OIII). Ha was inserted into red channel and OIII into green and blue. Jupiter is the largest planet in solar system; however the weight of this gas giant is only 1/1000 of the Sun. It has more than 60 moons, which were very important for formulation of modern way how we understand the universe. Four biggest moons Io, Europa, Ganymede and Callisto are visible even by small telescope. Galileo was the first who saw them and noticed that next night they are on different position, thus they must be orbiting the Jupiter. This led to the confirmation of Copernicus heliocentric theory. Obviously this was not accepted very well at that time and Galileo had to face the problems with the inquisition. 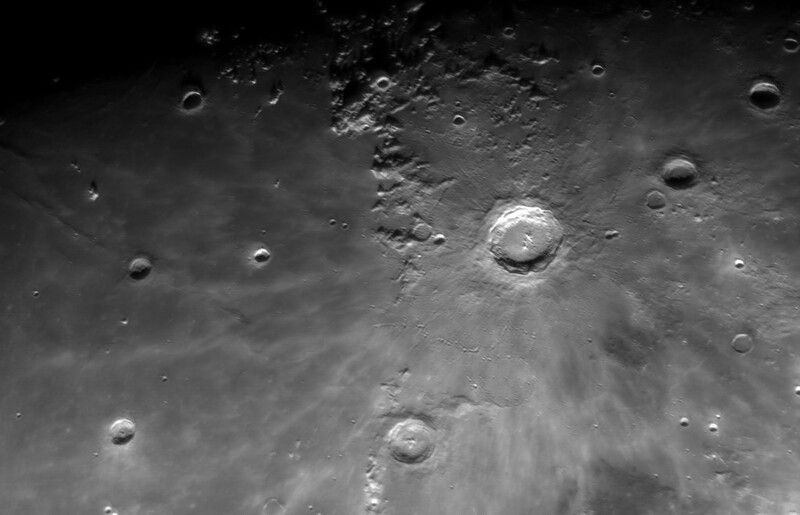 Planetary photography is completely different to deep space imagining. Since the planets are bright, the exposure time doesn’t have to be long, however the planets are small, therefore the seeing (turbulences in the atmosphere) is the biggest enemy. One needs: long focal length, short exposure times (aperture, aperture, and aperture) and as many pictures as possible. This picture is a stack of 2000 pictures together. It’s one year old, because this year the seeing hasn’t allow me to do better pictures with my latest equipment. 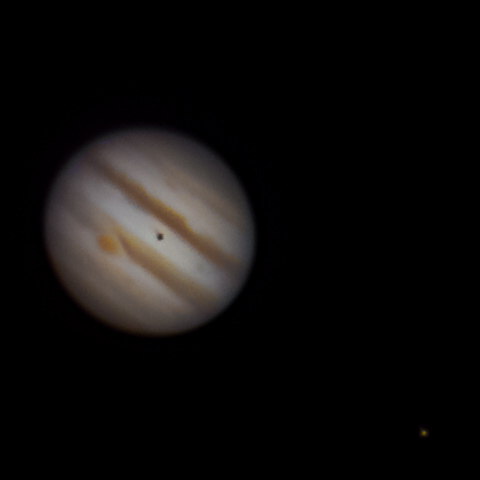 The red spot is visible as well as the eclipse cause by the moon Io. Well, as I wrote before, I hate Moon. It is a big bright monster, polluting the skies by the light. However it has its beauties. 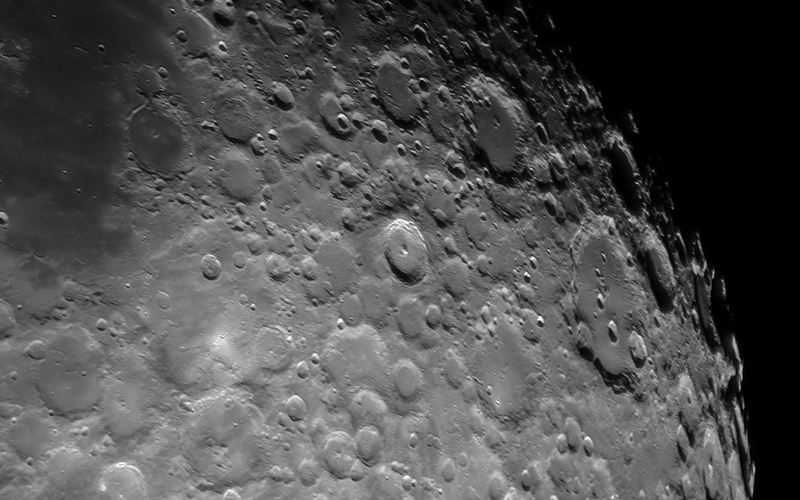 For instance the terminator – the transition between bright and dark side of the Moon can show some interesting shadows of the craters. The Moon is relatively easy to photograph, one just have to have a long focal length and any camera. 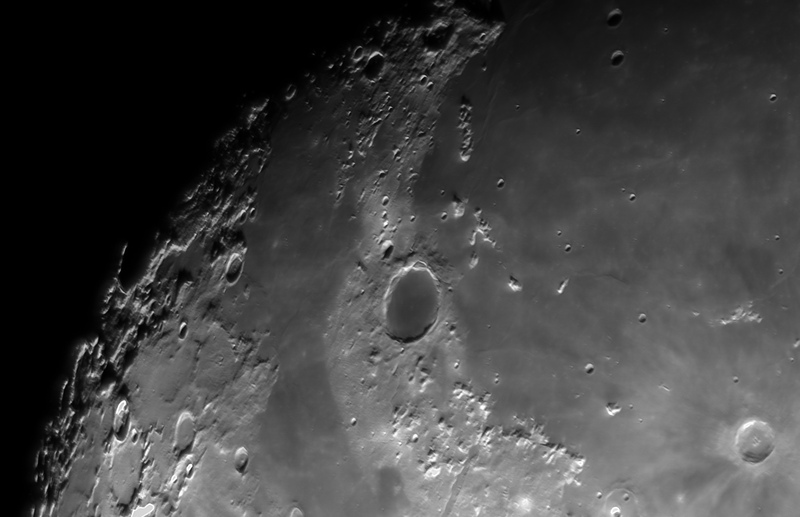 The pictures were taken by my new scope Celestron EdgeHD C14 with “guiding” camera ZWO 174 MM. 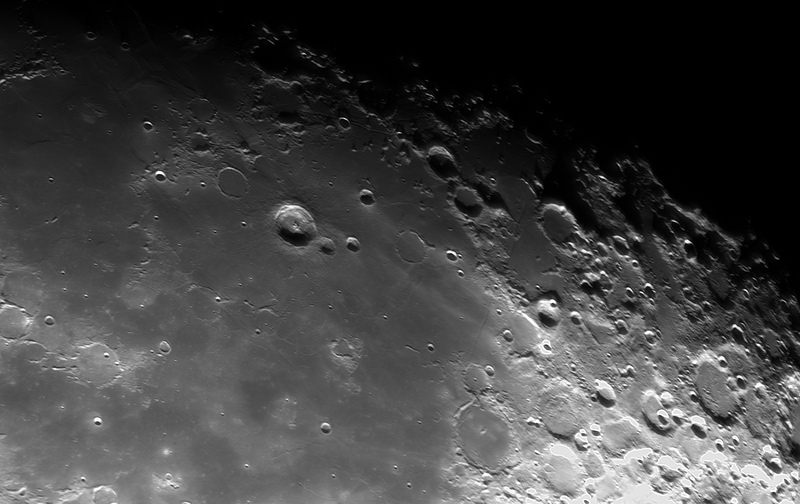 Each picture is a stack of approximately 1000 frames, done in AutoStakkert and sharpened further in RegiStax.